This is the Bell Pro Star, a motorcycle hemet with a built-in 360-degree camera. 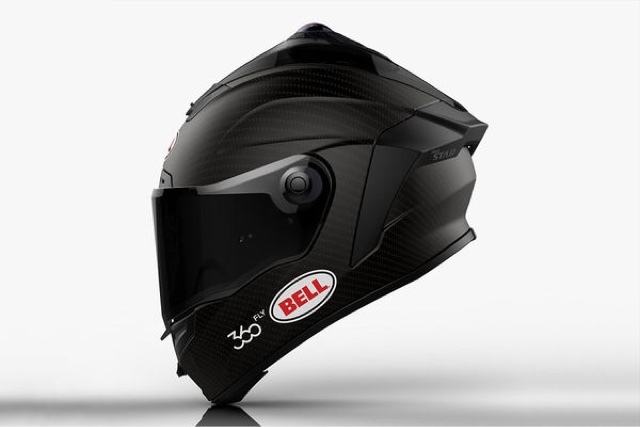 It was jointly developed by Bell helmets and 360fly. They will be testing the helmet at the 2016 Isle of Man TT, one of the most important annual races for motorcycling. The new helmet will be based on the existing Pro Star, Bell’s flagship model that retails for $1199 to $1299. For the new helmet, expect at least $500 to be added to that price, for the cost of the 360fly 4k camera. It is definitely premium-priced but is arguably safer than a normal helmet with a 360-degree camera attached through other means, which protrudes and can snag on objects or the road during a crash, increasing the likelihood of a potentially fatal or debilitating neck injury.